This member of the Periploceceae* family was described by Friedrich Richard Rudolf Schlechter & Alfred Barton Rendle in 1896. Is found in Kenya and Tanzania, growing in a well drained soil with some water and some sun. 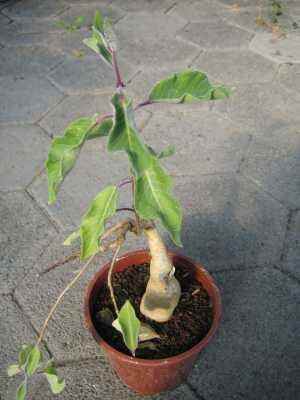 The caudex can grow to 25 centimetres, the vies from four to six metres. Flower and fruit photo by Rainer Martin, Mbuyu.